Drinks fit for a Queen! 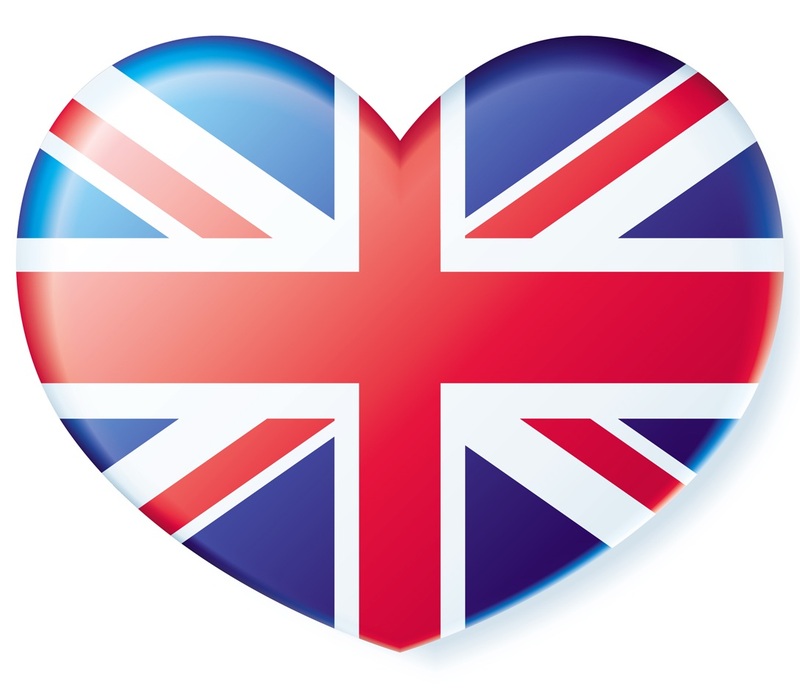 This week-end the Brits, Aussies and Canadians, (and many others) will be celebrating the Queens Diamond Jubilee. Several people (mainly my American friends) have asked me in the last few days what this actually means…so for those who don’t know, let me enlighten you. On June 2nd 2012 it will be 6o years (yes, you heard correctly…60 years!!!) 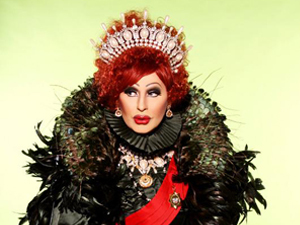 since Queen Elizabeth II took over the throne. This is a huge accomplishment and quite a rare feat, her reign is actually the second-longest for a British monarch; only Queen Victoria has reigned longer (so far). 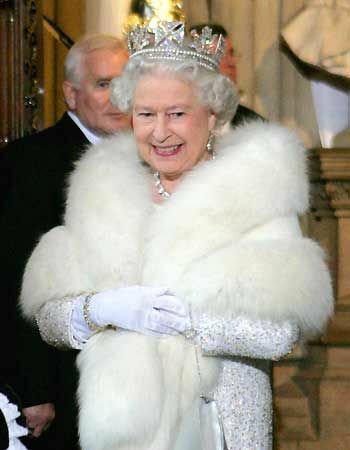 Queen Elizabeth II ascended to the throne at age 25 after the death of her father, King George VI and was crowned as Queen of the United Kingdom, Canada, Australia, New Zealand and Other Realms and Territories on June 2, 1953 in the first televised Coronation service. Sticking to my websites theme of Mixology and recipe history, I thought it would be a nice idea to put up some drink ideas to mark this momentous occasion. There are many parties that will be going on throughout the World this week-end, and I know my family and friends in the UK will be relying on me to give some drink suggestions…so here we go. 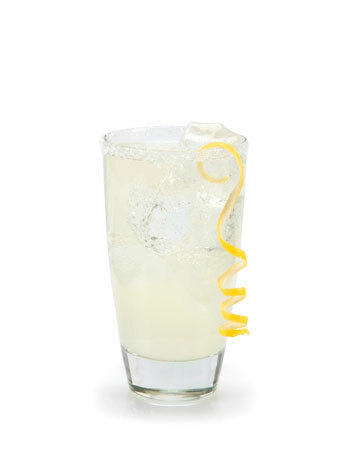 Shake and strain ingredients in to a highball glass with ice, then fill with Champagne. This drink works for two reasons, it has the perfect name to match the Diamond Jubilee year and it has champagne in it, which is the classic celebration tipple of choice! Also known as a Champagne Fizz, this drink is similar to the classic Gin Fizz although it uses Champagne rather than soda water. It follows the fizz characteristic of being served over ice, which is unusual for a champagne beverage. The first printed reference to a fizz (spelled “fiz”) is in the 1887 edition of Jerry Thomas’ Bartender’s Guide, which contains six fizz recipes including the Ramos Gin Fizz (A great Ramos Gin Punch Recipe can be found by clicking here.) The above recipe makes for a nice and refreshing celebratory drink. Pour the ingredients into a mixing glass with ice cubes. Stir well. Strain into a chilled cocktail glass. There couldn’t be a more fitting drink name for this occasion than The Coronation Cocktail. 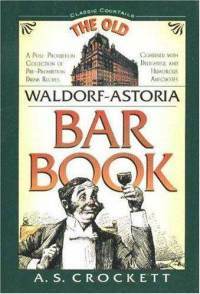 There are a few variations out there with the same name, however this is the one I found to be the most ‘Classic’ in it’s history as it comes from The Old Waldorf-Astoria Bar Book by A.S. Crockett published in 1935. It is a vermouth drink from the old days of bartending and really simple to make. It won’t appeal to everyone, but for those who like a strong ‘stiff upper lip’ kind of drink, this is the one to choose. It does have some sweetness from the apple brandy and a friend mentioned that a dash of peach bitters works well in it also. Combine the ingredients and shake over ice, top up with champagne. The grapefruit-orange sherbet is made by mixing 200g sugar, 100ml pink grapefruit juice, the zest of an orange and a grapefruit, then simmering until the sugar is dissolved. Double strain and allow to cool completely. Please note: This recipe provides the British measurement of ml, if you wish to have the recipe in US oz feel free to message me and I will give you the alternative. This is clearly a complicated recipe to create at home but I wanted to include it because it’s creator is Erik Lorincz, head barman at America Bar at The Savoy Hotel in London. When I was last back home in the UK, my boyfriend and I went to America Bar and had a wonderful experience. The drinks were balanced, the staff were knowledgable and the place itself was simply, beautiful. 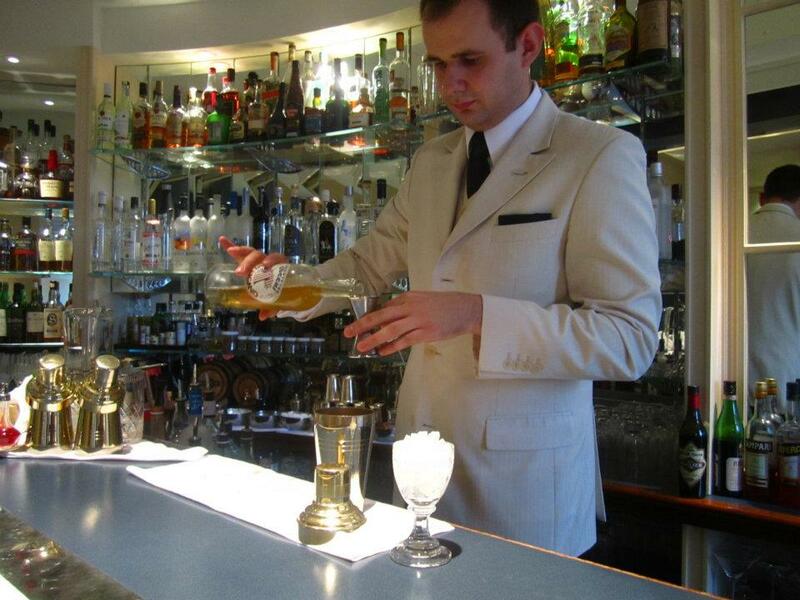 The bartenders all wear suits there, the glassware is made of crystal and the overall feel of the place is classic, formal and elegant. I read that it was at The Savoy Hotel that Princess Elizabeth (before she was Queen), was first seen in public with Prince Philip in 1946. That summer, Prince Philip asked King George VI’s permission to marry his daughter. They married later that year… isn’t history interesting!? Garnish: Pear and apple slices. This last recipe is one I came across when googling the term ‘Jubilee drink ideas’. 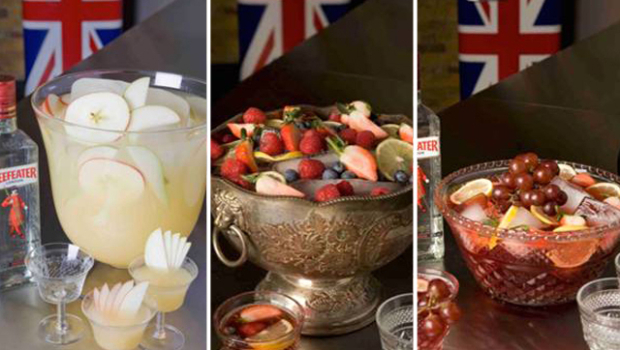 I found out that Beefeater Gin has teamed up with mixologists Nick Strangeway and Dre Masso to create cocktails and punches to celebrate the Queen and her jubilee milestone. This recipe looks the best to me and although I have not yet tried it, I think it sounds tasty and is the one I plan to make this coming week-end. I love Elderflower in any drink with apple, so I think this recipe will have a very fresh and floral quality that is reminiscent of England. Yet another drink ideal for the occasion and a punch is always a great option for large parties. The Fussy One on Facebook! The Sage and Honey Cocktail… from Toronto, Canada! Remember, remember the drinks of “Movember”! The Fussy One · A site for fussy eaters and picky drinkers!